The Ocean at the End of the Lane is a fable that reshapes modern fantasy: moving, terrifying, and elegiac - as pure as a dream, as delicate as a butterfly's wing, as dangerous as a knife in the dark - from storytelling genius Neil Gaiman. It's about memory and magic and survival, about the power of stories and the darkness inside each of us. It began for our narrator 40 years ago, when the family lodger stole their car and committed suicide in it, stirring up ancient powers best left undisturbed. Dark creatures from beyond this world are on the loose, and it will take everything our narrator has just to stay alive: there is primal horror here, and a menace unleashed - within his family and from the forces that have gathered to destroy it. I love stories that aren't linear or seem offbeat! Neil Gaiman plunged me in to a truly captivating world of weird and wonderful. The creatures I found imaginative and terrorfying and Letty was such a beautiful enigma to our little protagonist's seven year old mind. I loved the wonder and discovery of the journey! And having Neil Gaiman narrate his own work was a treat to the ears! An excellent book read very well by its author. Very disturbing in some parts, charming in others, with an easily relatable protagonist. Loved it. What made the experience of listening to The Ocean at the End of the Lane the most enjoyable? Yes I pretty much did listen to it in one sitting. This is a great read and I highly recommend it to you. It is compellingly authentic because the writer has put bits of himself into it and it is easy to tell which bits; they resonate so strongly. His style of narration is engaging and unpretentious, like a funny friend telling you a story. 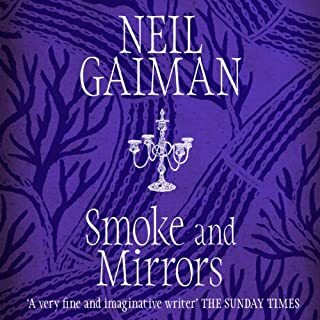 There is lots of magic and plenty of scary bits but for me what Gaiman does best is illuminate human relationships and help you to see why people do the things they do. What I liked most about this story is that it made me feel that it was ok, after all, to prefer reading a book to going to a party. If you read the novel you will see what I mean. 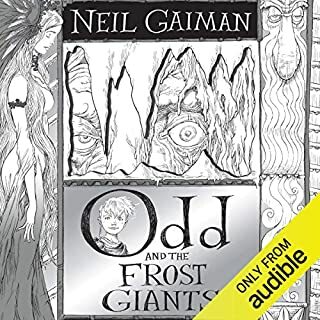 Neil Gaiman narrates this wonderful fantasy book. His performance is fantastic. He could read a shopping list and it would sound amazing. I loved the story and it stuck with for several months after I listened to the book. Highly recommend. If you could sum up The Ocean at the End of the Lane in three words, what would they be? I resisted downloading this story, though I’m a big fan of NG’s work. I really thought it was going to be a “normal” memoir and I’m just not a memoir reader. That was silly of me! I mean why on earth would Neil Gaiman write anything in any way, shape or form “normal”? Now I’ve heard it, been immersed, suffused, enveloped in it for over 5 hours, it seems to me NG is sharing with us something wholly personal and visceral. The organic nature of what we call magic. The magic is all around us. We’ve forgotten how to see it. Within this story, it’s possible that NG shares the source of his incredible gift. I will be diving back into this ocean a number of times, as I’ve done with many of his stories. alex is book everything about it maybe want to listen to mall and more in more. Spotted this book on a list of "Books that changed my life", which must've just been a bit of marketing paid for by the author. It probably won't change your life. Only finished this because I was waiting for something amazing that never came. Returning this book. 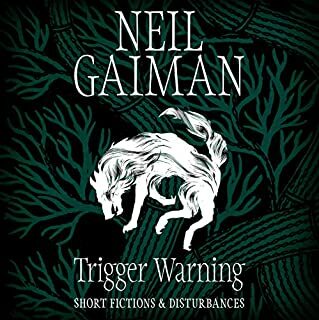 This is the first Neil Gaiman book I've listened to. In his words, though this story is short, it is very "dark". Whilst I agree it is dark-ish, it isn't what I was expecting. The seamless transition from our world to the "other world" is done very well. The Ursela character in her true form is also quite menacing. It reminds me of the abstract nature of some of Stephen King's good work. 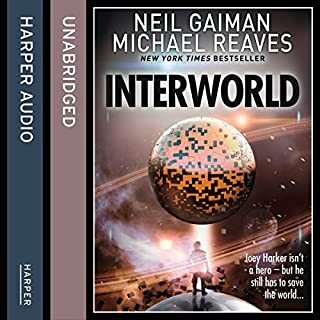 The story is interesting enough, but the thing that really got on my nerves was Gaiman's narration. In every scene of the book, he speaks with an upward positive-sounding naive inflection. While this fits with the personality of the protagonist (an innocent 7-year-old boy), the dark tone of the story makes it completely out of place. Even in scenes that are supposed to be terrifying, the same tone of voice is there. It doesn't fit and it takes away from the story. The other thing that I couldn't get over was that for a 7-year-old boy, the protagonist seems to be one of the world's great philosophers. He says and thinks things that no 7-year-old I've ever met has any understanding of. You can't even explain this by the character being an avid reader of books. The things he makes comments on would escape the understanding of someone that young. On top of this, there are times when Gaiman seems to remember that this is a young child and the character has a complete lack of understanding of a situation. Consistency is key, Neil. He's either a very smart worldly young boy, or a clueless child. You can't have it both ways. A bit of a letdown, considering everyone praises this author. This is a truly lovely tale. I adore Niel Gaiman's stories and absolutely love his reading, intonation and pacing of words. The story unfolds beautifully and I really got to love the main characters and dispose the villain. the beginning of the epilogue brought forth completely unbidden tears. I write this still sniffling. Darn you Niel. At the start of the book Neil warns that this book is dark. And it is. Dark like the secrets that families try to hide in the generations but that have a way of leaking out in the form of intergenerational trauma. It’s also deep and hints at the secrets of the Universe told in poems, scriptures and fables. But it could also just be a tale of a boy who was somewhere he shouldn’t have been and found himself in an adventure. Neil Gaiman writes beautifully, and reads this strange tale of childhood perfectly. I enjoy hearing authors read their own work, which gives it the meaning and inflection they intended, and brings it to life in the closest possible way to their imaginings. This is a story about children, but it's not for children. This story is about childhood, about places and people, about memories and how, for children, a pond can be an ocean. 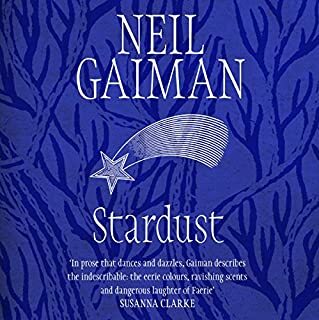 It's dark, in places it's menacing, and even horrific, but that's Neil Gaiman's work in a nutshell - as you listen, it will make you smile, it will warm you with a sense of nostalgia, and it will made you shudder. This is a story which will become a classic of the genre. It's strange and it's beautiful, at once a fantasy written with autobiographical voice, which adds to its wonder and its majesty. Well worth a listen. What did you love best about The Ocean at the End of the Lane? The voice of childhood filtered through the awareness of adulthood - a very fine line, but Gaiman gets it right. Neil Gaiman is amazing. I loved the story, the beautiful descriptive language, everything. I only wish there was more of it! Within only a couple of minutes of listening to this book I felt like I had struck gold! There are writers and there are Writters. True storytellers who make it into an art form. 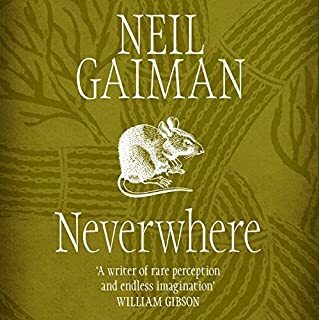 Neil Gaiman has weaved a truly beautiful story and is the perfect narrator. There are some Authors like George R. R. Martin and Robin Hobb for whom 5 stars just does not seem enough. Neil Gaiman is one of those authors. I highly recommend this book. For those who let this book slip by, will have missed out on something truly magical. 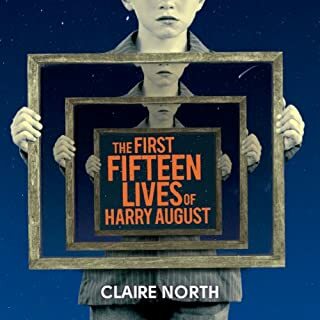 This is a clever story, told through the eyes of a child and leaning on the premise of a child's imagination it draws into a dark, dreamlike tale. I think the publisher's blurb perhaps goes a little bit too far and for me the brevity of the story didn't allow it to develop the depth it otherwise might have done. For this reason I didn't enjoy it as much as others seem to have done. 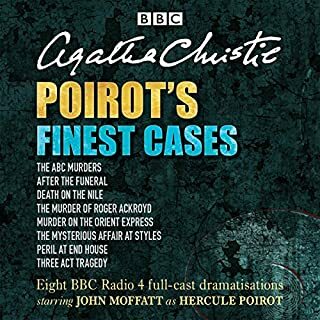 It is definitely a quality piece of writing, well narrated and something just a bit different to the norm so it's worth a go. It just didn't quite rock my world. 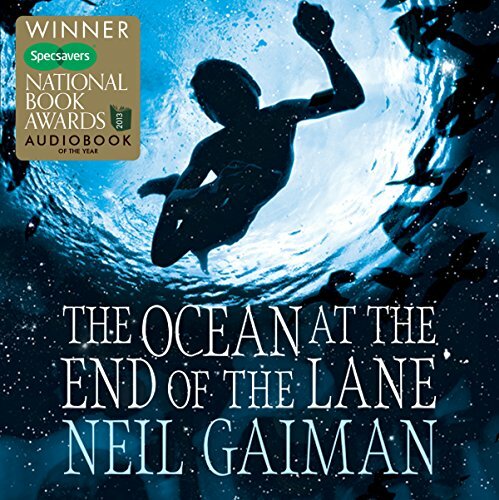 Where does The Ocean at the End of the Lane rank among all the audiobooks you’ve listened to so far? I do love a competent author who is also a competent narrator! Neil Gaimans books are great fun, if slightly warped at times. By reading it himself you can be sure to get the story as he intended. This is one of his books that is suitable for a wide range of audiences, so highly recommended for any long family road trips this summer. The story takes us back in time to when the protagonist was a boy. A trip back home has reminded his adult self of some very odd happenings in his youth. What follows is a good mystery with some strange and/or supernatural characters vividly imagined to keep you guessing at every step of the way. The places and people are beautifully described so that you can close your eyes and almost see what happens. A great read, and probably one of the few I shall listen to over again. I wish it didn't have to end, but also need to know what has happened and how, even if not why! What did you like best about The Ocean at the End of the Lane? What did you like least? 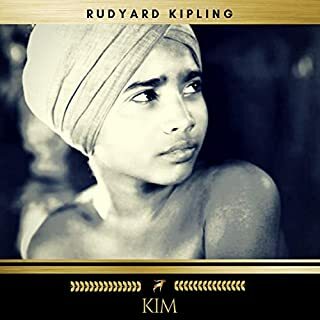 The book starts wonderfully with its wistful portayal of childhood, conveying nostalgia without getting overly sentimental, and the story is very vividly and exuberantly told with moments of great inventiveness, particularly in the first half. But I was considerably less keen on the second half of the story, which degenerates into a maelstrom of magical mumbo-jumbo. There was no logical thread of cause-and-effect, which kills any suspense and leaves the story feeling ultimately unsatisfying. Unfortunately from a certain point about 3/4 of the way through the story, I began to lose interest in where it was heading - a case of "too much magic" perhaps. So although the ending should have been poignant, I found myself feeling slightly nonplussed by the finale, and indifferent about the fates of the characters. Would you listen to another book narrated by Neil Gaiman? 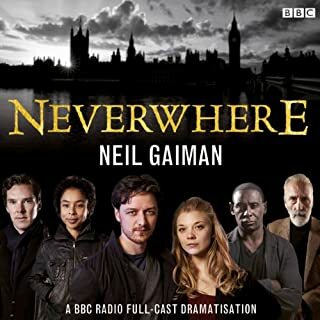 Yes - I do enjoy Neil Gaiman's narration. He's very engaging, although his warm and upbeat tone of voice does mean that sometimes he doesn't convey pathos very well. Yes, although it would be more for the spectacle than for the story. I enjoy a good fantasy tale, and particularly like those where our world and other worlds collide, but these seem to work better as longer stories which introduce the magical/fantastical elements more gradually and allow more time to establish at least some rudimentary "rules" by which they operate. Here it all seems too sudden and too over-the-top - the gentle magic of the childhood imagination and the subtle otherworldliness of the English countryside are completely overpowered by the sensational (and pretty much incomprehensible) magical story elements. Would you consider the audio edition of The Ocean at the End of the Lane to be better than the print version? Yes, definitely. The way Neil Gaiman narrates this is worth the credits. You get so much more from it and really understand why he uses the words he does. Beautifully written and wonderfully read. I dithered whether to get this one as it's such a slim novel. Oh how glad I am that I did! 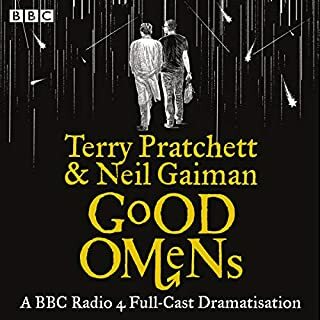 What a powerful story in such few words, and so beautifully narrated as only Neil Gaiman can. I hardly know where to start, this just evoked so many emotions. Essentially this is a story about loss, the loss of childhood and innocence and also about the loss of the magic in life. This slim little novel lingered with me long after finishing. Though I think the older and riper you are, the more this story will resonate with you. I discussed this book with my daughter, who is in her early 20's so she can still pretty much remember her childhood! Although she enjoyed it, it was not a 5 star read for her and did not evoke any of those lingering feelings. I will ask her to read it again when she hits 50! A great short story, an OK novel. Would you listen to The Ocean at the End of the Lane again? Why? Yes. I think it would bear a second read, in fact I may get more out of it if I read it again. Yes, although I may stick to the non adult fiction variety. as he does childhood terror so well but can indulge his talent for fantasy much more. This became a bit...well..."really...?" I think his reading made the childhood experience very real, it felt personal. It made me feel very sorry for the bright little boy and very angry with the rather dull and dimwitted parents. The evocative tale of childhood fear and impotence was wonderful, the pure joy of that child finding a really cool, strong and powerful friend was glorious but sadly, all that inexplicable, limitless magic spoilt the tension in the end. You just felt the magic people will put it all right in the end, but you never knew quite why. 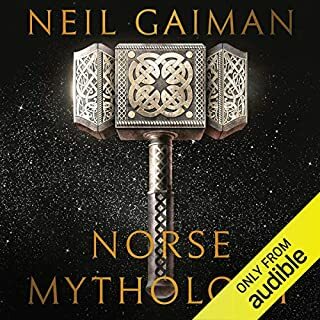 Yes, it's written from such an interesting view point and I love listening to Neil Gaiman narrate. I love the way you see it from his point of view as a child and an adult remembering through more experienced eyes. What was one of the most memorable moments of The Ocean at the End of the Lane? I love the way he fits the cat characters into his stories and they are particularly poignant in this fairy tale. Another one of those books that made me look forward to doing the housework so I could listen to a bit more. 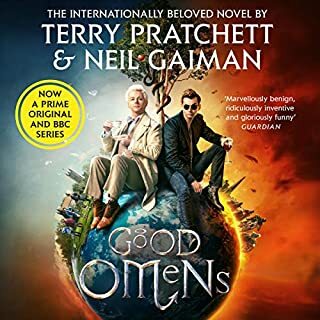 Neil Gaiman has written another interesting adults fairy tale and I am looking forward to listening to it again. I went into this having enjoyed Stardust and Neverwhere, so hardly a huge Neil Gaiman reader. At first it read like a quaint fairy story, certainly pleasant and engaging but not something I could see myself raving about. 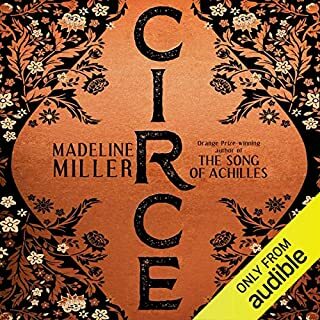 By the end I came to seriously rate this as one of the best novels I have listened to in years. The depiction of childhood, specifically isolation, fear and wonder as experienced by a child was totally captivating. The final sequence and epilogue played out like a C S Lewis allegory, but like the best Lewis books, never over plays it or comes to obvious conclusions. My only criticism is Neil Gaiman's delivery. Now, I do like his reading but having listened to him read 3 of his books in the space of 12 months I am a little too used to his phrasing and delivery. He has a very distinctive speech pattern and tends to use the same accent for every character. 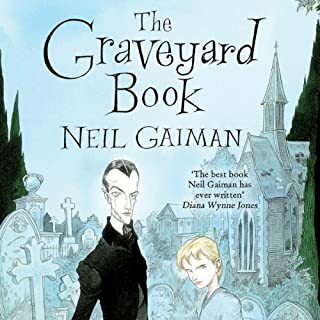 I am not someone who believes that the author is the best person to read their work and would rather Gaiman handed the reigns to a professional reader for future stories. 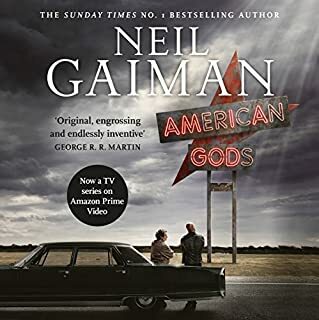 As it is whilst I intend to explore the rest of his work on audible, having discovered that I have a tolerance threshold for his reading style has put me off going on a Gaiman audio book binge. But none the less this is a brilliant story and well worth a listen. What other book might you compare The Ocean at the End of the Lane to, and why? Out of the Silent Planet. The Lion the Witch and the Wardrobe. No. His regional accents are quite lacking and many characters sound the same. Very much. I felt anxious for the main character and experienced a surprised delight during the final sequence. An excellent novel. 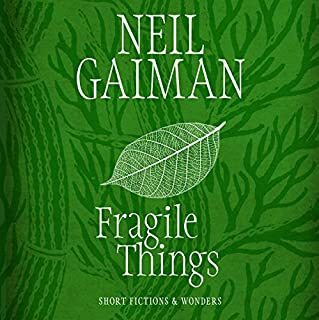 An underwhelming reading but none the less an essential purchase for any fantasy reader or fan of Gaiman's other work. Fantasy is not my favourite genre so I started on this book with some reluctance. I was interested in all the hype surrounding the book so I took the plunge (forgive the pun). 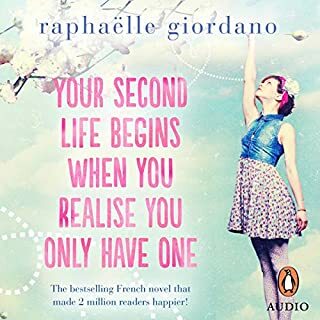 At first I was hesitant, the story was laboured and it was very artificial, but because it was such a short book I thought I’d carry on, and I am very happy I did. The story grows on you and the characters are appealing and intriguing. It is a simple story of a boy who meets a girl who lives on a farm at the end of the lane. A tragic event throws their fates together and what happens over the following two days will change their lives forever. By the end of the book I was enthralled and I am happy I read it. It is a story well told. Reluctant as I am to listen to authors reading their own works I think Gaiman did a good job of it. Adult or kids book? Who cares its great.